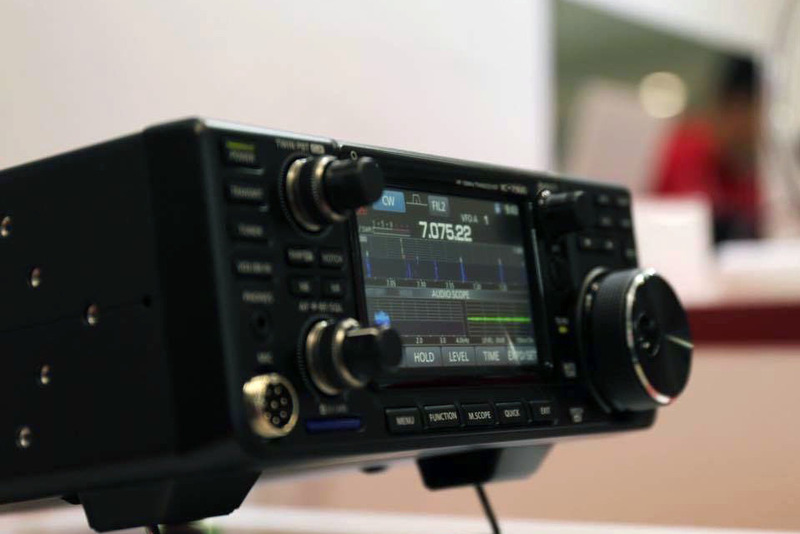 Icom’s IC-7300 is probably the most expected transceiver of 2016, given the fact that it’s the first direct-sampling SDR from one of the “big three” manufacturers, offers a working large-screen spectrum display and is expected to be quite affordable (more details in the original Icom IC-7300 article). 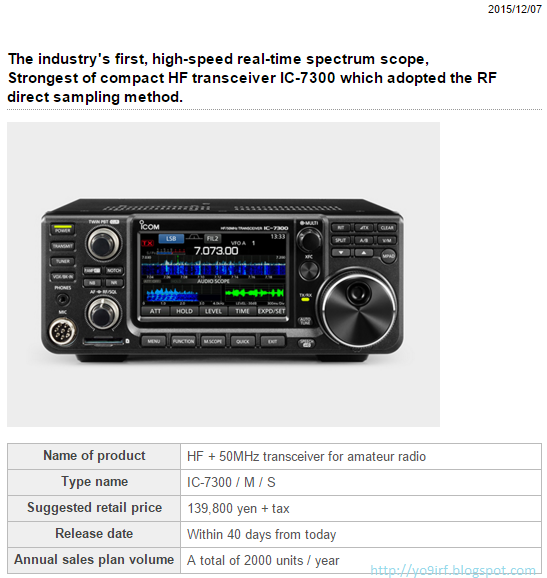 In a japanese press release dated just a few hours ago, Icom finally published the official release date and the recommended price. 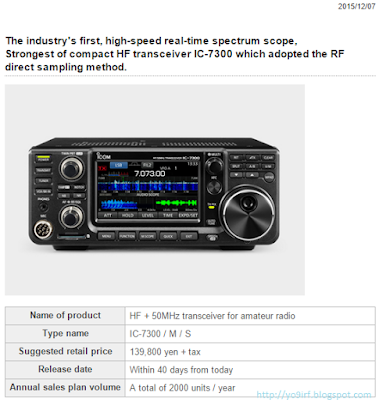 The IC-7300 should be available by January 16th 2016 at a price of 139,800yen + tax, wich equates to US$ 1,134+tax or EUR 1,047+tax (expect VAT on top of that). This is even lower than the initially announced price of “around 150,000 yen”, and unless there is something really wrong with it, I predict it will be the next years’ best seller. Just because the yen price is lower than first predicted doesn't mean the Icom America price will be. Icom here in the USA has gotten hit in the head. 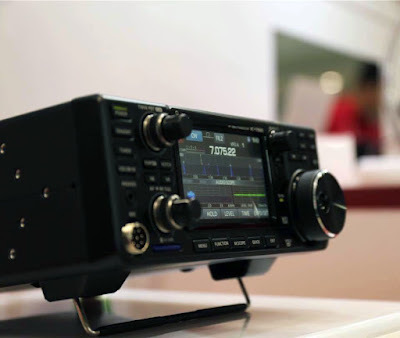 In Asia you can buy a IC-7851 in the neighborhood of $10k, but here it is $14,499. Btw don't you love it when HRO puts it on sale for $12k for Black Friday !! How much makeup do they have on these radios I bet close to $4k plus. 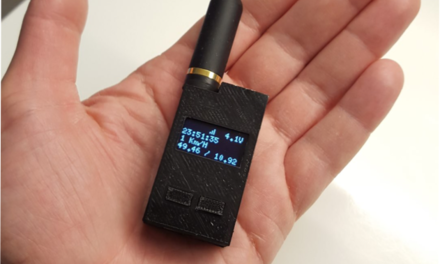 All dealers make big profits from early adopters. I think this is a universal truth. 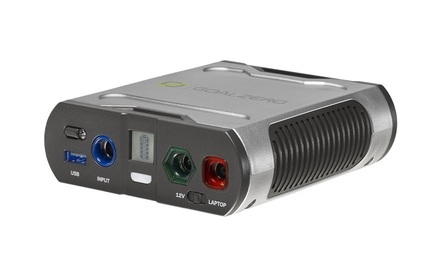 Surely that price is not for all 3 models, (7300, 7300M and 7300S) with the different output powers? Has it been confirmed anywhere that 139,800 yen is the price for the 100W export version?